Israel Butler is the head of advocacy at the Civil Liberties Union for Europe. 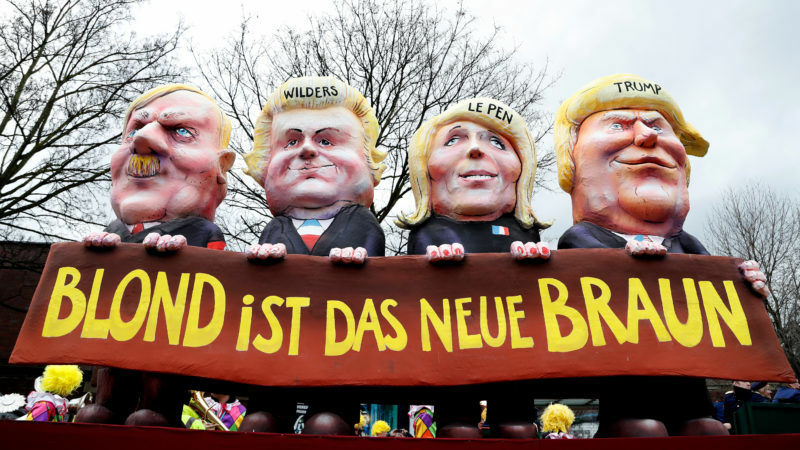 The German, Austrian and Czech elections have shattered the illusions of commentators who confidently announced the end of Europe’s right-wing populist surge following the performance of Marine Le Pen and Geert Wilders. The EU appears powerless to halt the rise of the far right. It has failed miserably to deter the governments of Poland and Hungary from trashing the laws and institutions protecting the rule of law, democracy and fundamental rights. But there is still hope. The EU can borrow from its foreign policy and fund NGOs to build support for its fundamental values among the general population. Since 2013, the European Commission, Council and Parliament have struggled to create new procedures designed to protect the EU’s fundamental values. Efforts to create strong mechanisms have met with political resistance. Governments do not want to submit to closer monitoring that could lead to political or financial sanctions for breaching standards of democracy, the rule of law and fundamental rights. Despite their reluctance to submit to closer political supervision, a majority of EU governments still seem to support the Union’s fundamental values. What they don’t seem to grasp is that there are other options available to defend their values. If they don’t explore other possibilities soon, progressive governments will end up in a powerless minority, outmanoeuvred by the zombie of right-wing populism chomping its way through the EU. Of course, monitoring and sanctions are important tools for persuading governments that they should stick to the rules. But they can only be part of the answer. Ruling parties and coalition partners with far-right agendas are coming to and staying in power because they have sufficient public support. For a politician in a (nominally) democratic system, votes at home are more important than political pressure abroad. When unravelling democracy, the rule of law and fundamental rights can make you popular with voters, why should you care about condemnation abroad? Especially if that condemnation is as hollow as what the EU has managed to mobilise towards the Hungarian and Polish governments. The problem is not that autocracies are overthrowing democracies. The problem is that democracies are self destructing and electing autocrats. A significant proportion of the voting public has been duped into believing that pluralist democracy, fundamental rights and the rule of law are jeopardising their safety, prosperity and cultural identity. This is partly aided by Europe’s media. The financial model supporting independent media is broken. Oligarchs with political agendas have bought up media outlets to push their own (often far-right, xenophobic and nationalistic) political agendas. And to survive economically, much of the media is obliged to resort to sensationalist fear-mongering to make money. But part of the problem is that when faced with far-right messages, much of the public has no conception of what democracy, the rule of law or fundamental rights even are, never mind why they are important. There is little resilience to anti-rights rhetoric among a large part of the population. Governments don’t teach these values in schools, perhaps because empowered citizens are troublesome. NGOs in Europe haven’t engaged in much public education either. Partly because of scant resources, and partly because only recently have they been faced with mainstream media and politicians trying to pit the population against their own rights. The EU needs to help ‘sell’ fundamental values to Europe’s population so that attacking rights and democracy is no longer a vote-winner. The Union has ample experience of this in its foreign relations. Any country preparing to join the EU sees Union funding pumped into supporting NGOs that promote rights, democracy and the rule of law, and funding to support independent media. All the EU needs to do is copy these models inside its member states. At the moment, NGOs working on rights, democracy and the rule of law inside the EU are treated rather like sub-contractors helping the Commission implement EU law. There are three major problems. First, funding for national NGOs tends to be for (short term) projects. There is no money for larger grants to fund the general running of NGOs, which would give them the stability they need to attract and retain staff and do their job instead of scrambling around for the next cheque. Second, disproportionate administrative burdens, the requirement for NGOs applying for funding to partner up with NGOs from other countries, and to find other sources of funding to match EU money make EU funding as attractive a prospect as a hot date with a cactus. Third, the kinds of projects funded by the Commission don’t include money for litigation or public education about rights and democracy. It’s mostly training, research or exchanges of good practice for the benefit of civil servants, lawyers or judges. Awareness-raising projects tend to be confined to informing the public about how to use specific pieces of EU law. As politicians start work on the EU’s next seven-year budget, they have the chance to create a fund to support democracy in the EU. This fund could give long-term support to NGOs with the purpose of increasing public understanding of and support for the values that Europe carved into law in the 1950s to avoid a repetition of World War II. Until rights, democracy and the rule of law gain popular support, the far-right surge will continue. Sounds mor elike the author is arguing that the EU should provide state aid….to “independent” NGO’s promoting the EU. What anyone else might call propaganda. What is “populism”? It’s a perjorative term applied by leftie liberals to anything they don’t like. That’s always been the real problems lefties have with people. They often vote for things lefties don’t like. Good Heavens we cannot have the ordinary man voting as he sees fit. Why only those with a degree and aged between sixteen and thirty-five should be permitted to Vote.